Why was LF a ward of the Tullys? 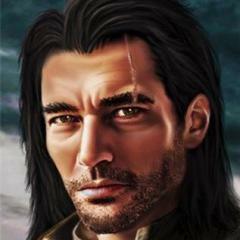 It seems such a privilege should be reserved for one one from a house of much higher rank than House Baelish. So he did. Thanks for the answer. Still it’s odd Tully(a man who nearly killed his own daughter to spare his family embarrassment), would give a privilege that would/should be offered to a house of great rank no? I’m sorry minor quibble you’ve already answered my question and thus I’m finished with this thread. Still it’s odd Tully(a man who nearly killed his own daughter to spare his family embarrassment), would give a privilege that would/should be offered to a house of great rank no? The relative cost of being nice to his friend Ser Baelish by warding his son was very low. Fair. That was a foolish question I asked. LF’s warship It could possibly at worst be viewed as purely an act of charity. I would ask why Hoster did not take on more wards of proper rank as well but I think I can guess the response being because Martin wrote it that way(undoubtedly true). So now I’m done with this thread. That was a foolish question I asked﻿﻿. IMHO asking a question you legit want an answer to is just fine IMHO, "foolish" or otherwise. Trying to piss people off by posting intentionally offensive worded or formulating the question to blatantly favor your own assumptions is much worse than asking a "obvious" question. Clearly you wanted a answer at least. Well, that seems to have been part of Hosters personality. The marriages he fixed for his daughters and his disdain for the Freys makes me think that he more than any other Lord Paramount of his time aside from Tywin had ambitions outside his own realm. but I think I can guess the response being because Martin wrote it that way(undoubtedly true). Sometimes that is true but I feel like it can just shut down any and all decisions if it dumped into the conversation out of the gate. Also bear in mind hoster hasnt the same pressure as lesser lords to forge alliances for security etc ,hes got an unmarried son and has his 2 daughters married to 2 of the other 7 regions leaders , his son in law is the kings bestie and the king owes his crown to him! I’d ask the same thing of Ned, about why he didn’t have more wards at Winterfell. Littlefinger's father and Hoster Tully became friends during the War of the Ninepenny Kings. He used that friendship to try and elevate his son's stature in the world by having him fostered by a Great Lord. Isn't there a quote about how GRRM admits that the lack of wards in Winterfell is a screw-up on his part? As for in-universe: Maybe he felt that he couldn't ask for wards if he was unwilling to send his own children away. It is a common interpretation that he is very unwilling to let go of his children. Baelish is a secret Targaryen . In a way there’s a certain logic to fostering a child of relative low status than of higher one. While fostering a child of a powerful lord may bring your house closer to theirs (r.e. Arryn fostering Robert and Ned), it may not do, as they will have their own interests and obligations that override such concerns. Fostering the child of a low ranking lord could much more likely have the effect of making that lord, and his child, feel obligated to you for life. 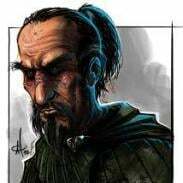 If things had happened differently, Hoster could have ended up with an extremely talented and loyal servant in Littlefinger, whom he raised from a tiny sheepshit speckled spit of land into the household of one of the most powerful lords in the 7K.